Nye DTD filer for leasing bil, camping, bobil og mc. Leasingbil og MC har fått et felt for NBF. Bobil og camping har fått mulighet for legge til at kjøretøyet har tilstandsrapport. Ny DTD fil for bobil og mc. I forbindelse med videre utrulling av "trygghetselementer" på FINN Motor har vi nå oppdatert våre DTD'er på MC og Bobil. Dette er for å tilgjengeliggjøre at deres systemer kan oversendte informasjon til FINN som er nødvendig for å få elementene på den enkelte annonse. 1. Reklamasjonsrett: denne trenger dere ikke å forholde dere til. Et objekt får ikonet "5 års reklamasjonsrett" dersom det annonseres av en forhandler og "2 års reklamasjonsrett" dersom det annonseres av en privatperson. Dette gjøres automatisk hos FINN. 2. Garanti: Dersom feltene for garantitype, garanti varighet (tid) og garanti varighet (km) er fylt ut vil dette vises på annonsen. Dersom garanti varighet (tid) er 6 måneder eller mer vil annonsen få "garanti" ikonet. 3. Service: På FINN vises: "Kjøretøyet er vedlikeholdt i tråd med fabrikkens anbefalinger for service". Dette blir da en lovnad annonsøren gir potensiell kjøper. Et Ja/nei felt for deres del. 4. Tilstand: Samme som punktet over: et ja/nei punkt for dere. Hvis ja fremkommer det på annonsen at det foreligger en godkjent tilstandsrapport for kjøretøyet. FINN.no har opprettet og tilgjengeliggjort nye felter for import og i admin. Ny DTD fil for båt og nybåt. Mulighet for å legge til video i annonsene. Kommentarer: Dersom feltet er utfylt i meglersystemet og kommer med via importen vil FINN.no skjule teksten fra GENERAL_TEXT i annonsen. Meglersystemene legger til rette for at det er en begrensning på 800 tegn i dette feltet. FINN.no opprettholder importen av GENRAL_TEXT for å ivareta meglerkjedene som benytter FINN.no som grunnlag for publisering på egne hjemmesider, og for kunder som ønsker mer utfyllende tekst på FINN. Kommentar: Mulighet for å legge inn lokalområde for eiendommen. Feltet har en begrensning på 40 tegn i annonsen. Lokalområde vil vises før tittelen på eiendommen. Kommentar: Feltet skal inneholde URL til nettside eller fil hvor brukeren finner komplett informasjon om eiendommen. URL’en kan peke til eiendommens objektside som inneholder all informasjon eller en PDF-fil. Kommentar: Feltet skal inneholde URL til en side hvor brukeren ved å legge inn kontaktinformasjon kan bestille en nedlastbar versjon av den komplette informasjonen om eiendommen. Kommentar: Det er lagt til en begrensning på 120 tegn for tittelfeltet på annonsen. <VIRTUAL_VIEWING_URL> and you can send an URL to the image in this tag. The tag is available in the latest Realestate DTD. It is now possible to specify VAT_INCLUDED (yes | no) for agri-tool and threshing machine adverts. The files can also be downloaded from the DTD & example XML file page. FINN cars has together with NBF (faggruppe bilsalg) decided to reduce the allowed number of signs in the «variant” field to 55. Moreover, we have decided to clarify what advertisers are allowed to write in this field. This decision is made based on user testing conducted by FINN, showing that «viriant» fields with over 55 signs are confusing to the users. From February 1, 2017 it will only be possible to write a maximum of 55 signs in the «variant» field. All charactes beyond number 55 will not be visible on the live ad on FINN. We emphasize that this change will affect all new and existing ads, effective of February 1, 2017. Furthermore, we emphasize that the «variant” field is meant for an elaboration of the type of car, not a selling text or other words not intended for describing the type of car which is being advertised. It is allowed to write single words to describe, e.g. : engine size, horsepower, wheel drive, gearbox, equipment level/package (S-line, Summum, Highline and so on), Etc. We ask all system providers to adjust their ad insertion so that no ads coming from your system to FINN.no contains more than 55 characters. We emphasize, once more, that we are making these changes in order to improve both user experience and ad effect on FINN motor. For security purposes for both FINN.no, our customers and business partners, we want all the datatransfer providers of ads to FINN.no to start using a tag/field called <PROVIDER> . The field will contain an identifier that is unique for each datatransfer provider so that we can secure ourselves against someone attempting to transfer a fake ad (from getting hold of a file from one of our customers) and trying to upload it to us. The PROVIDER tag will also help us in the find to easily identify which transmission system a file has come from so we can more easily know who we should contact if there are any errors or problems. The PROVIDER tag is located in the first section of the xml file right after the PARTNER tag. FINN have decided to demand either a Norwegian registration number or a vehicle identification number (VIN/Chassis number) in order for a user/partner to publish a car classified ad on FINN. The change will be effective of March 3, 2017 according to FINNs notification obligation of such changes. The reason for this change is related to repeated occurrences where private- or professional users of FINN advertise cars which are not in their possession on FINN motor. This is a violation of FINNs advertising rules. 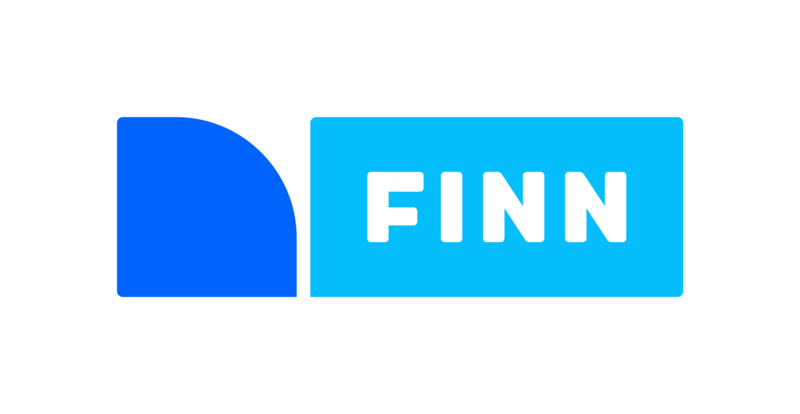 This change will be effective for all users of FINN.no, both private users and car dealers, regardless of the method for publishing ads on FINN motor. The change will incur that it will not be possible to publish a car ad on FINN.no without typing in either a valid, Norwegian registration number or a vehicle identification number (VIN) in the ad insertion scheme. 2. The field «chassisnummer» will be mandatory for all advertisers (this field gets auto-filled if the user enters a valid Norwegian registration number). 3. The field «chassisnummer» must contain at least 8 signs – numbers and letters (veteran cars have a 8-sign VIN). Ads that don’t fulfil these rules will not be published. For third party system providers, we ask that you adjust your ad insertion so that all ads coming from your system contains a «chassisnummer» (Vehicle identification number). We at FINN.no are making and important update on the object response (feedback on transferred files to FINN.no). We would like to inform you that we are making the url to our new statistics module available in the object response. You will find this url in the new tag called STATISTICS_URL. If you already are receiving object response as xml you must make sure that the xml don't break when the changes is put into production.